Social media and other online distractions are a force to be reckoned with in the battle for our attention. The average person logs 1.72 hours on social media per day, which translates to almost 30% of all online activity. Workers, in particular, seem prone to falling victim to social media distractions. Eighty-nine percent of people said they waste time at work with it every day, according to a survey by Salary.com. Google was the top time-wasting culprit, followed closely by Facebook. 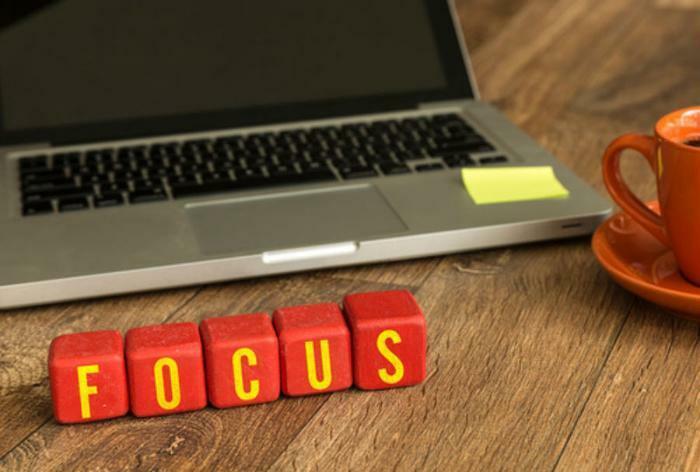 For many, staying focused on work seems harder than ever in this age of digital distractions. But where technology might sometimes be a hindrance, it also seeks to be of help. If you can’t seem to stop yourself from taking a “quick” break to cruise the online distraction circuit, look no further than these apps to help you stay focused. Self Control. With this free Mac app, users simply input the sites they find distracting, set a timer, and those sites will be off-limits for the time specified. Once set, the timer cannot be undone -- even the computer is restarted. The sites will be blocked until the timer runs out, so no cheating. Cold Turkey. This app also allows you to block certain sites. The pro version ($19) will also allow you to block games or even lock up your whole computer -- “Frozen Turkey” -- to force you to go outside or go to bed on time. The pro version also features a work/break timer, which allows users to take short breaks during their work time. Think. With Think, you can say goodbye to the bombardment of multiple chat boxes and open windows. This app lets you pick one window to focus on; the rest of the screen will be darkened. For those who believe multitasking isn't all it's cracked up to be, this could be a handy app. Think says it can help you “get back to thinking” by allowing you to focus. Anti-Social. This social network blocking software for Windows and Mac is a favorite amongst students, stay at home moms and dads, and those who work at home. The timer for blocking social media sites can be as short as 15 minutes or as long as eight hours. Unlike the Self Control app, Anti-Social’s timer can be undone simply by restarting your computer. Freedom. This app is the first of its kind to block distractions on iPhones and iPads. Similar to Self Control -- but different in that it also works on PCs -- it blocks distracting websites for a specified amount of time. The app also features the ability to schedule Freedom time in advance. For less than $2.99 a month, users of Freedom can enjoy a distraction-free internet environment.